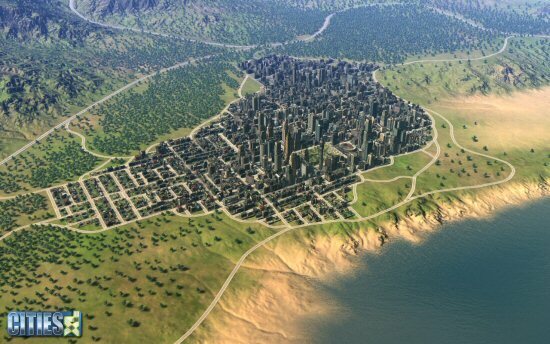 In a genre established by the SimCity franchise, Cities XL is not just an attempt by developer Monte Cristo’s to capitalise on the city-building genre void left after SimCity 4, but it’s a brave effort to take it to the next level by adding subscription-based online integration, in addition to a single player mode. Cities XL is an in-depth, city-building simulation that boasts 25 single player 3D maps in the solo campaign. As major, you oversee the health of the city ensuring that residents are happy and businesses prosper. You’re tasked with erecting residential, commercial and industrial buildings, building roads and catering for the inhabitants of your city in order to acheive a thriving economy by creating jobs through the introduction of social services, leisure activities and special events. At its most simplest level, Cities XL is about balancing your budget properly, micro-managing effectively and creating the ultimate money-spinning, happy metropolis. The ‘Planet Offer’ opens up a new set of gameplay features, such as transit options, and takes your city into the online arena where you can interact with other players by trading and creating interconnected cities. It's also a good opportunity to see other user's cities, or show off your own glistening metropolis.